Forward-looking: This concept Moto Razr from designer Sarang Sheth looks absolutely stunning and remains true to the original phone. It’s the first time that the foldable concept has been demonstrated in a way that gives me hope. 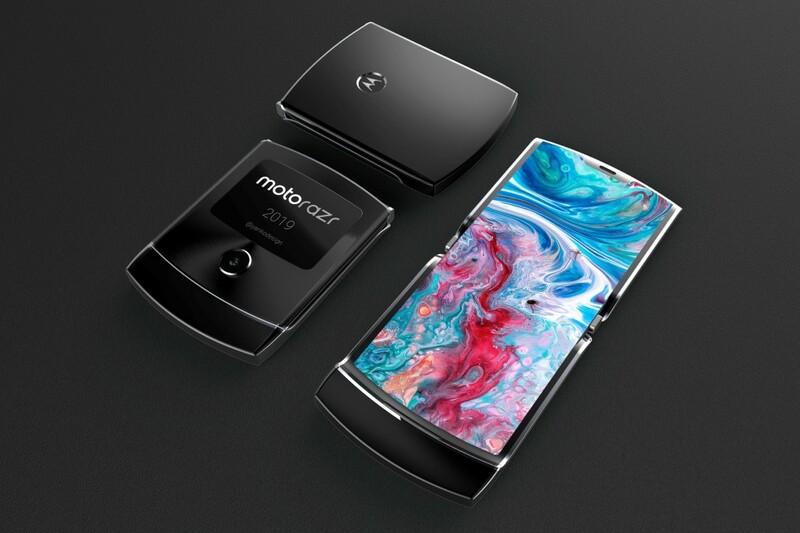 Recent rumors point to Motorola unveiling a successor to its popular Razr V3 flip phone in February, perhaps during Mobile World Congress. The handset will reportedly feature foldable screen technology and carry a staggering price tag of around $1,500. I’ve long criticized foldable smartphones for trying too hard. To this point, no manufacturer has demonstrated that they’ve figured out a form factor that makes sense. With the current crop of devices, manufacturers are fixated with trying to take a full-size smartphone and fold it out into a small tablet. Based on what has been shown thus far, this doesn’t feel like the right path for foldable displays. What does feel right, however, is this concept Moto Razr from designer Sarang Sheth. The original Razr followed the design language of “less is more” and this concept perfectly exemplifies that. Rather than fold out into a tablet-sized device, the newly envisioned Razr takes a standard smartphone and folds it down. If Motorola’s new Razr looks anything remotely like this, I think they’ll have a hit on their hands. I’m not so sure the $1,500 price tag will resonate with buyers but we shall see.